When I knew for sure that I would be traveling to Italy, I knew that I’d be getting a new handbag. You see, years ago… before we had children… Doug and I took a trip to Italy. Doug even rented a car and drove me through Tuscany and out to the tiny Luxury Outlet Mall in Florence called The Mall. Back then, there were maybe 4 or 5 stores at The Mall and I left empty-handed. This trip, I was not going to let that happen again. We visited The Mall in Florence and had a wonderful day of shopping in beautiful Tuscany. It might have been that it was a girls trip, it might have been the amazing weather, or maybe the wine even. I’m not really sure, maybe all of it. However, this time I managed to buy the perfect handbag that I knew would be treasured for years to come. Since returning, I posted a review over on Trip Advisor and I now get several questions a month about whether the trip to The Mall in Florence is worth it. I loved our trip to The Mall. But what stands out the most for me is my experience at Gucci. The staff is so friendly, helpful, and very patient. I knew I wanted a handbag but had a tight budget. After shopping for almost an hour, we decided to head up to the rooftop Cafe. Our lunch on the patio was fantastic. The food was perfect, as was the wine and the weather. It was relaxing to sit out in the sun, enjoy the meal, and then be able to find the perfect bag before heading back into Florence. Even if you don’t buy anything, I highly recommend the Cafe. So yes, it’s worth a trip to The Mall if you are in or around Florence. As I said in my review, we spent a lot of time at Gucci, probably most of our day actually. They make it such a fun experience and the cafe was fantastic. The prices were in line with an outlet store but the benefit is the value-added tax (VAT) that you get back after your purchase. 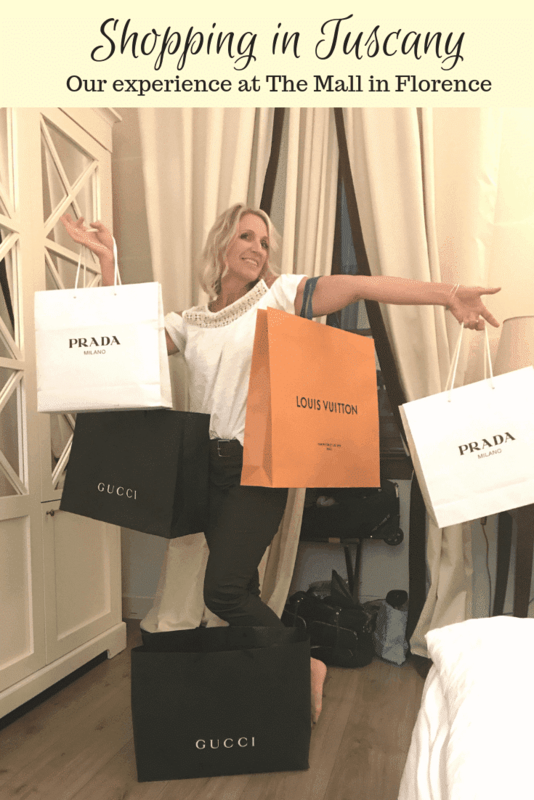 It’s not every day that a girl gets to go to Italy with some of her favorite people plus go shopping at one of the most amazing luxury outlets in Italy. I am also pretty sure that my husband is relieved he didn’t have to rent another car and take me there. Lucky for us, they have a charter bus service that will take you out and bring you back for just 13 Euros. It was such a great trip, really easy to do on our own, and now we have pretty treasures to remind us of our fantastic trip. How to get rid of lice, let's talk about it... Visiting A Chocolate Museum in Paris? !